The Foreign Supplier Verification requirements of FSMA have perhaps been less well advertised than those of the Preventive Controls rules, but the compliance dates are fast approaching nevertheless. On May 30, 2017, a new field will appear in Ace, the software system wherein importers declare their imports and, in so doing, fulfill the requirements of many different U.S. regulations. This seemingly innocuous event will have serious and wide-reaching implications for all entities involved in the importation of food intended for consumption in the United States, but perhaps no one will be more affected than brokers and distributors, for they have long relied on the protection of their sources to ensure a share of the profits on their imports. Brokers and distributors often provide an important service by taking care of the legal requirements to bring a product into the country, and by purchasing large quantities of product that can then be broken down into more manageable quantities for their customers. Nowadays, information that was used to be transmitted to Customs and Border Protection (CBP) on paper forms is entered in Ace, which is a one-stop-shop software system that aggregates data on all imports. This data can then be accessed by several government agencies, including the FDA. Anyone wishing to bring food into the United States for consumption on our shores will be required to declare a Foreign Supplier Verification Program (FSVP) Importer for the food, and the names entered as FSVP Importers will then form a database from which the FDA will work to ensure enforcement of this program. This FSVP Importer may or may not be the same as the Importer of Record (IOR). Large companies are already re-writing their import contracts to include this requirement, for it’s quite clear already that communication of expectations will be vital to the success of this program. The FDA recognizes that it is possible that unscrupulous parties may enter the name of a party as the FSVP Importer who does not realize their name has been entered; however, the main recourse for the injured party is to better communicate with their supply chain to ensure the issue does not arise again. Although these technicalities are important to understand, it is perhaps even more interesting to consider the implications of all the FSMA requirements surrounding this rule. For example, FDA’s requirements for records are very clear, and each record must include the name and address of the facility at which it was created, in addition to other information. The rules of FSMA are also quite clear in stating that brokers or distributors cannot provide the necessary food safety paperwork on their own; rather, this documentation must come from the grower, manufacturer, processor—for a true farm-to-fork implementation, in keeping with the spirit of the rule. What does this mean for the broker who sells to a large company that is perfectly capable of purchasing the large quantities required to “go direct”? Will they be cut out of their livelihoods by being forced to give this information to their customers? This is a question that has been raised in all the FSVP Importer classes held to date, and in reading the rule, it appears clear that the broker is expected to disclose their source. How else is it possible for them to follow the law, and assure their customer that the food was produced with the same level of food safety as if it were made here in the United States? 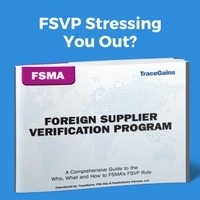 Have confusion regarding some of the specifics to FSMA’s Foreign Supplier Verification Program rule? You’re not alone… Are you the importer? What if you’re a broker? What are the actual contents of a verification program? This comprehensive guide can help answer some of these lingering questions, and will provide you with a couple real examples of FSVP in action. This is a particularly interesting conundrum because at its heart, this is an issue of information exchange between private companies. Although the FDA does expect that some entity will keep the records to satisfy the requirements of the FSVP, they will not expect this paperwork to be transmitted to any government agency prior to approval of a load for import. Rather, the FDA will send electronic records requests to the entities declared as FSVP Importers later, wherein they will ask for the records related to previous shipments. Should the FSVP Importer declared at import not produce the required documentation at the time of this request, enforcement activities are expected to result (eventually, once the rule has gone into effect and regulation has begun). It stands to reason that some entities may continue to operate in a fool’s paradise for some length of time, thinking nothing has really changed. This is incredibly dangerous for the business, its reputation and indeed, for the consumer. Times are obviously changing across the globe, and the FDA is doing its best to keep up with the demands of an increasingly complex global society. The broker who enters his own name without understanding the implications of what that means may find himself on the receiving end of a number of records requests from the FDA, with no records on hand with which to fulfill them. This is not an enviable position, and will likely result in an in-person visit from an investigator if the food imported is considered high-risk. There are, of course, many brokers and distributors who are proactive and concerned about food safety. These are the companies that are sending multiple individuals to FSVP training to stay informed about the changing face of import regulations. Many of these brokers and distributors already gather paperwork such as third-party audit reports and letters of guarantee from their suppliers, but they do not transmit this information to their customers. Should these proactive companies be essentially punished for following the letter of the law? 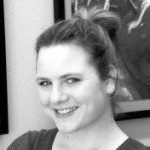 Even if a purchasing department has a warm personal relationship with their broker or distributor, if the C-suite sees an opportunity to save a substantial sum on their commodity of choice while increasing transparency in the supply chain, certainly those decisions will be made without regard for hurt feelings. What about redaction? Can the brokers or distributors redact the sensitive information from the documents, and transmit them in that way? Perhaps, but after consultation with a brilliant and experienced legal mind, redaction may not be the panacea it first appears. For example, redaction of documents is a boring and redundant task, frequently relegated to the intern or other low-paid office worker due to its repetitive nature. These workers may perform the redaction lackadaisically, or use CTRL-F to find all appearances of the information to be redacted. In doing this, they often miss important information that appears in an image or is misspelled. Additionally, anyone who has spent much time in the food industry understands that this is a small world, and it is often easy to recognize a document simply from the style in which a particular company presents all its documentation. Clues such as colors, partial logos and incomplete redaction can lead to a shrewd individual deducing the original author of the documents quite easily. Although there are no answers to be had at this juncture, especially considering that the compliance date for these requirements has not yet passed, it is important to think about all these implications, along with many others that are being brought to the forefront through the Importer workshops approved by the Food Safety Preventive Controls Alliance. The FDA readily admits they are learning right alongside industry, and they have every intention of continuing to educate while they regulate. If these issues cannot be hammered out between industry representatives and the FDA directly, it stands to reason the issue will eventually be brought before the courts, where the demands of capitalism will be weighed against those of regulation for food safety. Is there a legal precedent for this situation? If you know of one (or several), please leave the information in the comments below to continue the discussion.